An easy DIY project to make a daily Ramadan calendar that displays the time of iftar and suhoor as well as the day. 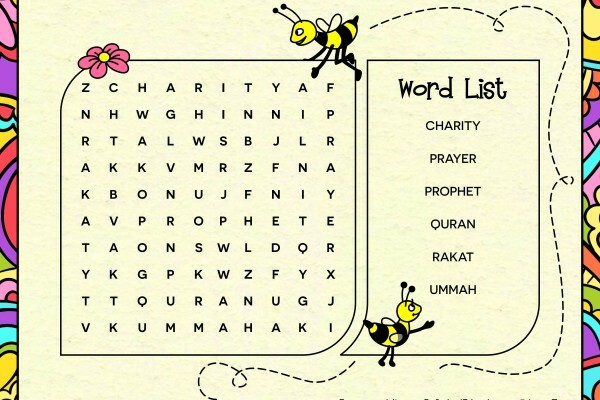 Here is a great word search! Just download it by right clicking and selecting “Save Image As” to save to your computer and print. Here is a great activity for you to do today! 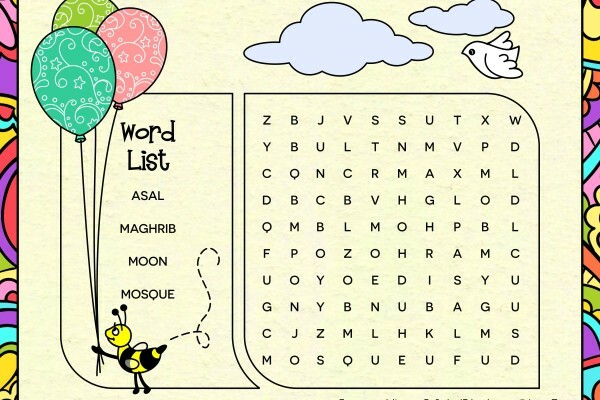 Find the six words on the right in the word search. Just download it by right clicking and selecting “Save Image As” to save to your computer and print. 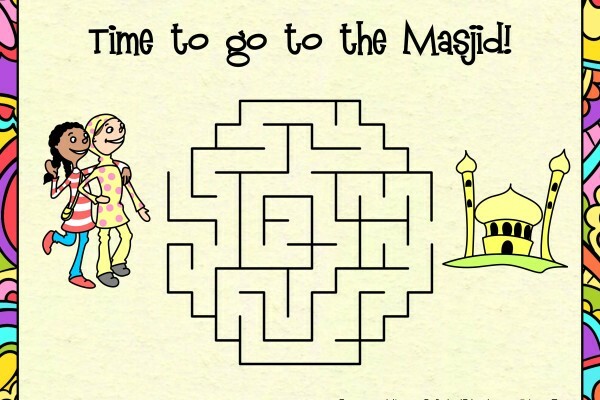 Here is a great coloring page of kids at the mosque during Ramadan! Just download it by right clicking and selecting “Save Image As” to save to your computer and print. Here is a great maze! Just download it by right clicking and selecting “Save Image As” to save to your computer and print. 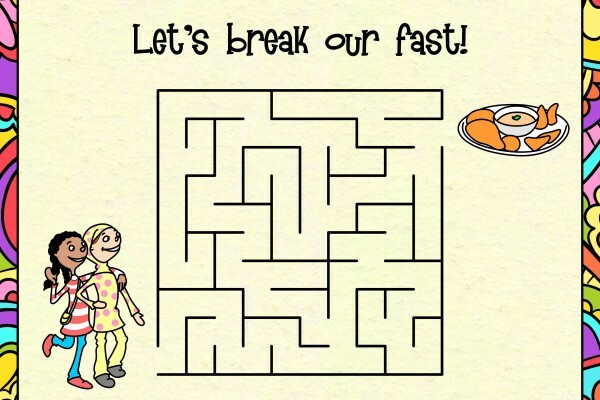 Maze: Let’s Break Our Fast! 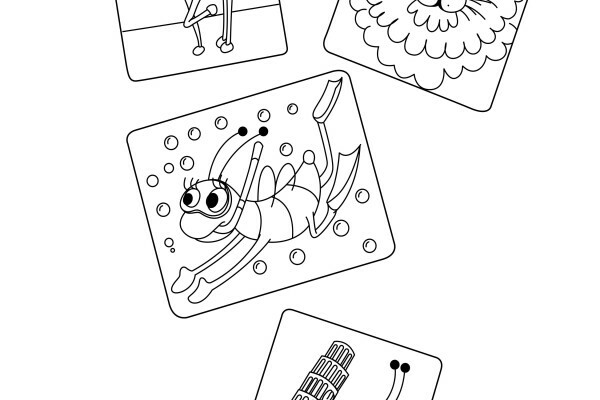 Here is a great coloring page of Asal traveling around the world! Just download it by right clicking and selecting “Save Image As” to save to your computer and print. 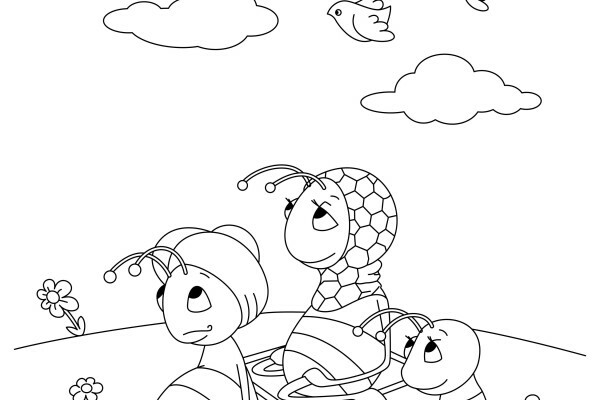 Here is a great coloring page of Asal and her family! Just download it by right clicking and selecting “Save Image As” to save to your computer and print.